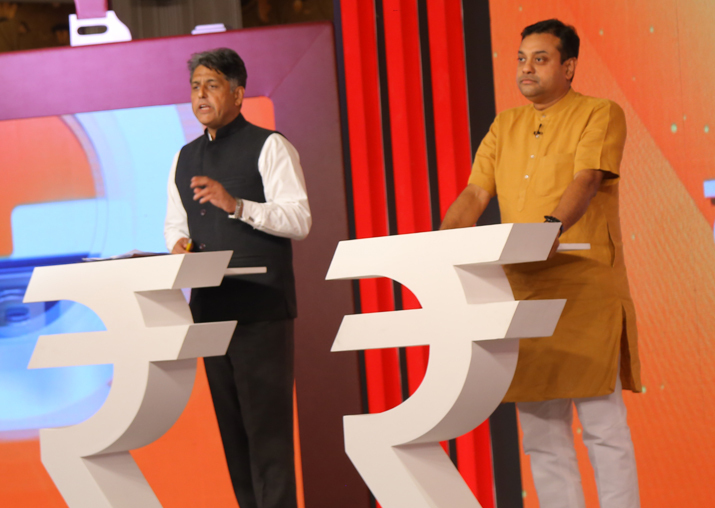 Speaking at India TV's Samvaad conclave, organised to discuss this year’s Budget, BJP spokesperson Sambit Patra said that this is for the first time when people are discussing about healthcare and not tax. The Bharatiya Janata Party (BJP) today exuded confidence that the new healthcare scheme announced by the government in Union Budget 2018-19 will definitely become a reality. “I met a doctor yesterday, he said this is the first time that a government has decided to do so much in this direction and for the health of the country. This is the first time that we are debating on if the promises made in the budget will be fulfilled,” he said. Congress’ Manish Tewari, who was the second speaker on the panel, termed the healthcare scheme a “joomla” and noted that it will entail huge expenditure but no money has been provided for it in the Budget. “Once there was 'Obamacare' that covered a large number of people with 42 million dollars on it. Now they have come up with a health initiative that will cover 10 crore families with Rs 2000 crore. I would like to ask them about the money that they will require to fulfil the promise of covering 10 crore families under this budget,” he said. “There were no mention of the healthcare scheme in the Budget documents. It will take at least 6-month time to implement it,” he added. “No one believed that demonetisation can be done… no one believed that there would be GST, but we implemented it. No one believed that toilets will be constructed in rural areas, but Modi govt did that. This is the government of Modiji makes the impossible possible,” the BJP leader opined. “They (Congress) are hurt because the healthcare scheme is not named in Rajiv or Indira's name. It is Modicare,” Patra stated. While presenting the Budget for next fiscal on Wednesday, Finance Minister Arun Jaitley had announced the world's largest government-funded health care programme, aimed at benefiting 10 crore poor families by providing coverage of up to Rs 5 lakh per family per year for secondary and tertiary care hospitalisation. The National Health Protection Scheme, announced by Finance Minister Arun Jaitley in his Budget for 2018-19, will cover approximately 50 crore people. Tewari further said that there was nothing much to be discussed in the Budget, ‘which is why they (government) came up with such huge commitments’. “They (government) must read the facts that say demonetisation has troubled people and has fractured the economy. They have not provided as many job opportunities as they had promised,” he said. “There are people and parties who are criticizing the budget even before it was presented. I would like to tell you that it is possible to fulfil all the promises as per the budget and we will work for it,” Patra replied to Tewari. “This is not a 'vote budget' but a 'soch budget' which aims at the development of India. Even if the budget is bringing us votes, we are happy because we are working for the welfare of the people,” Patra said. Patra also took the opportunity to laud Pradhan Mantri Ujjwala Yojana which was started by the government in May 2016. “Women in India always struggled without gas cylinders. Modi government has provided cylinders so that the women can do their work easily. More than 5 crore LPG connections have been distributed,” he said. “There is a huge difference in what their (Congress) and our government has done for the country. We have constructed much more roads as compared to the Congress, so the money given by people is reaching them in a U turn,” he added. “Manish ji should not speak on corruption today as Sonia ji and Rahul ji are out on bail,” the BJP leader said. The Prime Minister, Patra said, "is not taking even 25 paisa into his pocket, he is converting this 25 paisa into 50 paisa and investing in the country. They (Congress) have no right to speak on corruption."